Prime Minister Narendra Modi on Friday approved the appointment Union power secretary Pradeep Kumar Sinha as the next cabinet secretary. He will assume charge from incumbent Ajit Seth on 13 June 2015. Sinha is a 1977 batch Uttar Pradesh cadre Indian Administrative Service officer. He has been serving as secretary, Ministry of Power, since July 2013. 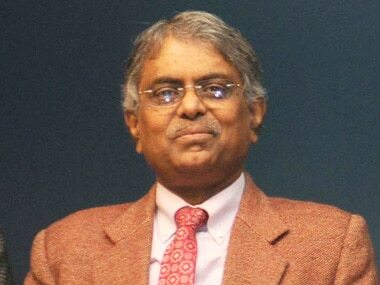 Sinha has earlier served as secretary in the Ministry of Shipping, and has held several other important positions in the Union government and in Uttar Pradesh. Till he assumes charge as cabinet secretary, Sinha will function as officer on special duty in the Cabinet Secretariat with effect from the date of assumption of charge, till 12 June 2015. Born on 18 July 1955, Sinha is an MPhil in Social Sciences is a post graduate in Economics. After Seth, Sinha is the senior most serving IAS officer in the country. A Times of India story said earlier that Union finance secretary Rajiv Mehrishi was also in race for the country's topmost bureaucratic post. In October last year, the Business Standard had said that the government had shortlisted five names for the top post including petroleum secretary Saurabh Chandra, a 1978-batch IAS from Uttar Pradesh cadre. The list also had the name of Sinha but significantly Mehrishi's name was not there. However, Mehrishi's elevation would have resulted in the side-stepping of half a dozen other senior officers causing a administrative tangle for the government. "The other three in the shortlist under consideration are Corporate Affairs Secretary Naved Masood, Micro, Small and Medium Enterprises (MSME) Secretary Madhav Lal and Administrative Reforms Secretary in the department of personnel and training (DoPT) Alok Rawat. All three are 1977-batch IAS officers," the report said. The Modi government had extended the tenure of the present cabinet secretary Ajit Seth for a period of six months beyond 13 December.